In just one fateful day, the relatively remote Moro village of Tukanalipao, Mamasapano, province of Maguindanao, Archdiocese of Cotabato, became the symbol of insincerity and mistrust. Here 44 of the Special Action Force of the National Police died valiantly in an encounter that lasted several hours. The SAF themselves killed 17 Moro rebels and 4 civilians. Police officers on the spot claimed that their men had gunned down about 250 rebels. Media reported that Moro rebels massacred the 44 police many of whom were shot dead mercilessly even when they were already wounded and helpless. In subsequent days national media played up the massacre report and created a climate of anger against Moro rebels as media focused on the gruesome pictures of the dead and the grief of widows and families. At the legislative hearings to investigate the Mamasapano several of our legislators expressed the biases, prejudices, and mistrust of the Christian majority against Moros in general and against the BBL (Bangsamoro Basic Law) in particular. These biases were sown during the period of colonization when relationships between Moros and Christians were characterized by continuing conflict, negative experiences with Moros, the diversity of religious beliefs and culture. Dormant through many decades and occasionally rearing its head, as in the Ilaga-Barracuda armed conflicts during Martial Law, bias and prejudice suddenly erupted into the open in the wake of the Mamasapano tragedy. On March 20 – 23, 2015 Social Weather Stations conducted a post-Mamasapano survey on opinions regarding the BBL. (1) 4% of those surveyed said that they had extensive knowledge of the BBL; 13% said they had partial but sufficient knowledge; 47% said they knew only a little; and 34% said they knew almost none. (2) Those saying they have sufficient knowledge were 58% of Muslims; 27% of INK; 19% of other Christians; and 13% of Catholics. (3) The March survey sample was 78% Catholics, 5% Muslims, 3% INK and 13% other Christians. Less than 1% did not give answer. (4) “Approval of the proposed BBL was favorable among those with extensive knowledge about it.” Disapproval from among those with little knowledge, and even greater disapproval from among those with no or almost no knowledge about the BBL. One would naturally wonder why anyone who has little or almost no knowledge of the BBL would disapprove of it. One reason came from the following actual conversation. It went like this. One would logically conclude that such negative attitude about the BBL is due to bias, prejudice and mistrust, a mistrust that several of our own honorable legislators have expressed in the hearings on the Mamasapano tragedy. I have an educated guess that our people in the parishes who know little about the BBL get their information from the Media that generally dish out one-sided and misleading information as well as incorrect interpretation of the BBL. 24 years ago the Second Plenary Council of the Philippines observed that we have “sacramentalized” our people but we have not evangelized them. And thus we have “split level Christianity.” This is the reason for the first major pastoral priority of the Church in the Philippines – integral faith formation so that we may have authentic Christian disciples who have the mind and attitude of Christ and live it in daily life. Here is the sequel to the conversation I narrated above. 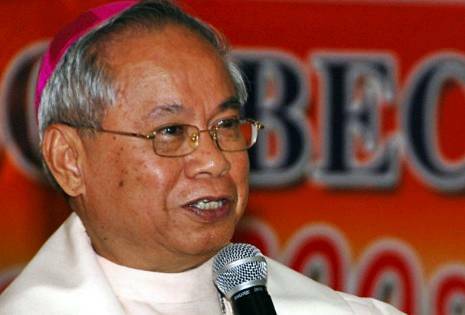 The Mamasapano tragedy sadly exposed the deeply entrenched biases and prejudices of Christians. Sadder still is to learn that most of those who disapprove the BBL but know little or almost none about it are Catholics. The challenge for us, shepherds of the flock, is to study this phenomenon seriously and come up with programs of integral faith formation that would go beyond orthodoxy and into orthopraxis – from doctrine to life. Our programs of faith formation and catechesis, our religious institutions and schools, colleges, universities, seminaries and houses of religious formation have to initiate faith formation programs towards authentic discipleship that would lead the young, the religious formandi, seminarians, religious and clergy to have and to live the mind of Christ.